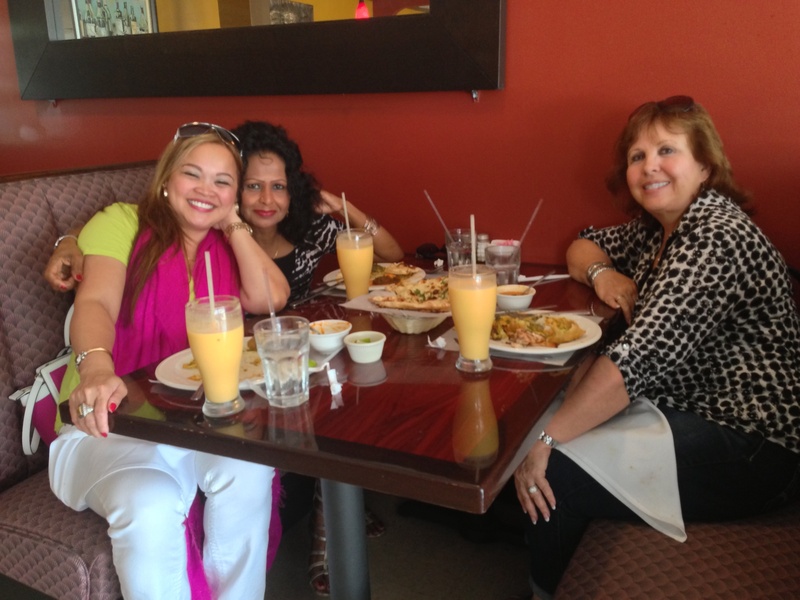 Friends, food, shopping — a great combination! 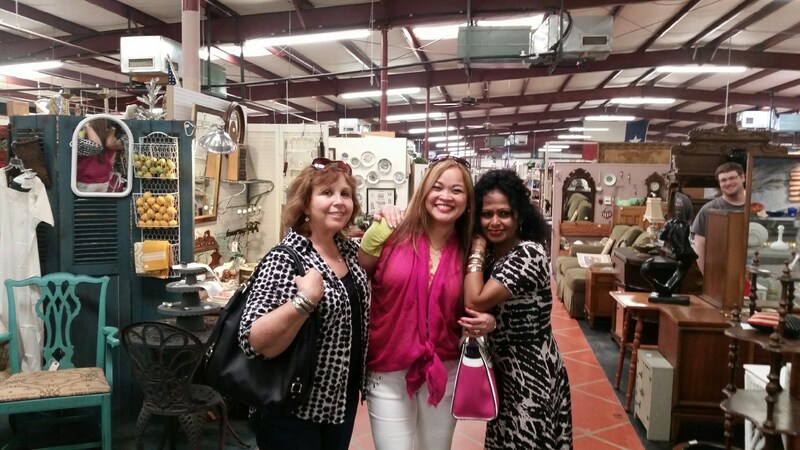 Shopping after lunch at the Spring Antique Gallery! I’ve been friends with Arceli, a native of the Philippines, for several years, as she is also my hair stylist at Mills Branch Salon and Spa, which she owns. I met Shalni, a native of Sri Lanka, under different circumstances, when she owned her dry cleaning business near me. The three of us have become “The Three Foodies” for the love of food and of native culture. Both of these ladies are strong, smart business women, and I admire their personal sense of style; but most of all I love their spirit! We often get together on Arceli’s day off to explore new and exciting foods, and we like to throw in some shopping along the way! Whether it’s antiquing in the Spring area of Houston, in Livingston or the outlet mall on Rt. 290 — we shop like we mean it! Sometimes we find treasures or bargains we can’t live without. Sometimes we just look and celebrate with the other ones who found their perfect something! It all started one day when we decided that we should plan a day to go try a restaurant featuring Indian food, with Shalni as our guide. 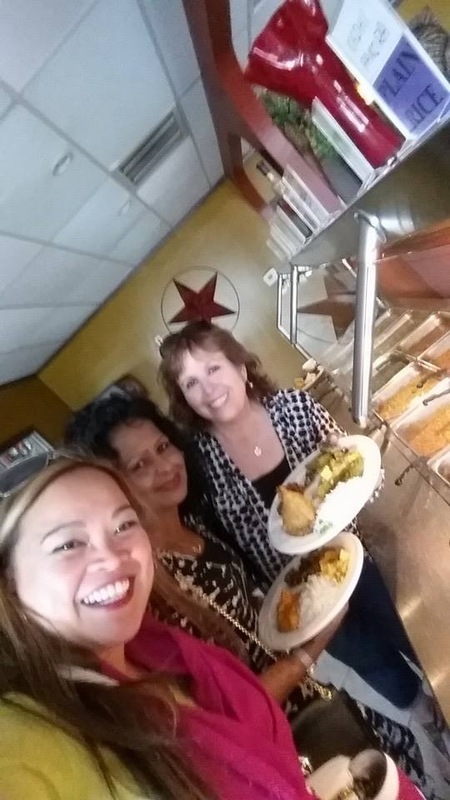 Although there are other fine Indian restaurants in Houston proper, for our first outing Shalni took us to the Bombay Sizzler in nearby Spring, TX. The menu consisted of a wide variety of Indian dishes, which were served buffet style. We tried everything, including a couple of kinds of curry! The meal was complete with a mango lassi! So good! On our way home, we happened to be passing by The Antique Gallery of Houston in Spring, so I mentioned that it would be a good way to spend the afternoon. We were there at least two or three hours but only made it through approximately half of the gallery! Next time we plan to search the other half! Our next outing will be to find some local food of the Philippines! The Three Foodies discover Bombay Sizzler!